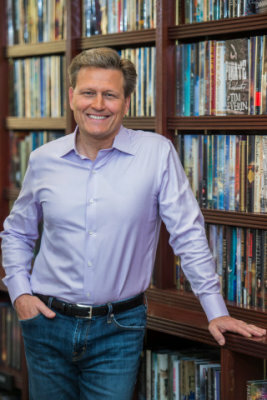 David Baldacci is a master at filling in the backstory when it’s needed… and not before. And that’s important if you discover a new author and join a series that’s been running a while. The beauty of using a public library is that you can borrow books with impunity. Pick up something just because the cover appeals to you? Yes! Risk trying an author you’ve heard of but never read before? Yes! Read something because a friend has said you’d enjoy it? Okay! You can take home a bag of books from the library and return half of them un-read – and you’ve lost nothing. The same can’t be said for spontaneous book shop buys. I’ve often ended up rueing the expenditure on a book I couldn’t finish, wouldn’t recommend to anyone, and wouldn’t want to give space to on my bookshelves. It’s the complete freedom to choose and try anything that makes me love public libraries so much. And I’ve discovered so many authors this way, stumbling into a series that grips me by the throat, and which sometimes never lets go. What do you do if you join a series mid-way? I’m a simple soul and to enjoy a book I need to engage with the characters, so I think writing a series must be tricky. For just how much of the individual backstories should you include as the series moves forward? What do your readers actually need to know about the characters you’ve created? And when do you tell them? Some authors cram as much backstory detail as they can into the first few chapters, which can put the brakes on the plot. And if you’re already familiar with the series it’s a tedious mechanism – something to be endured until the story gathers its own pace. Other authors feed crumbs about the characters through the chapters, which I think is the better way. I want a book to roll along and I want to be eager to turn the page. Although some bits of backstory might be essential to know early on, there are other pieces that can be added as things progress. So, what were the books that got me pondering about all this? Well, David Baldacci’s Amos Decker series was one. Decker is a detective who’s had a life-changing brain injury which means he remembers everything – including the things he’s desperate to forget. In the first book you’re told Decker’s backstory quickly because it’s essential to ground his character in the plot. But in later books you read about his tragedies in bits and pieces. And these fragments always add something when they do appear. I was late discovering Baldacci. People kept telling me I’d like his mysteries/thrillers but for one reason or another I didn’t try them. Then I found the first of his Camel Club series in the library and enjoyed it. (The Camel Club comprises four rather mis-matched friends who successfully thwart government plots.) Soon I’d searched out and read all the Camel Club books, and then moved to other Baldacci series: King & Maxwell (ex-Secret Service agents who are now private investigators); John Puller (military investigator); Will Robie (US government hitman) and, of course, Amos Decker. Discovering Baldacci’s books late in the day was good because it’s given me plenty to read, and I’ve enjoyed all of them. Now I watch for new books to appear and I’ve just started reading Long Road to Mercy which is the first of a new series about female FBI Agent, Atlee Pine. Of course, it hasn’t been possible to read all the books in all these series in the right order. Baldacci has been writing for a long time. His first book (Absolute Power) was published in 1996 and his first series (King & Maxwell) kicked off in 2003. So it’s been a case of picking up titles when and where I could. But I can’t think of any of his books, in any of his series, where I’ve felt I’d been given either too much information about the characters, or too little. There’s always enough backstory to piece things together and make you want to learn more; and there’s nothing extraneous which might slow the pace of the plot. As a library-user I know I’ll have to jump backwards and forwards to read a series because it’s not always possible to get the books in sequential order. But if the characters are interesting and the stories are good, who cares? I’ll always be curious to find out what’s gone before and eager to read where the series will go to next. In fact, I’ll happily go with the flow. If you enjoy reading crime fiction why not come along to one of our book group meetings? They’re on the third Friday of every month, 2.30pm @ Oundle Library. It’s all very informal because we don’t have a set reading list. We do, however, enjoy a wide-ranging chat about the books we’ve read and enjoyed. Everyone welcome!